Antietam National Battlefield « Midlife Crisis Crossover! 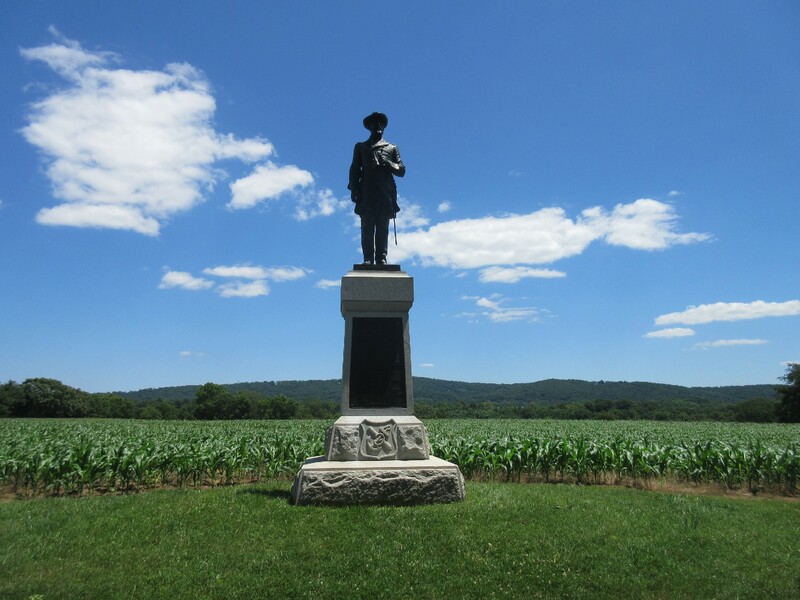 We missed a Civil War monument in our previous chapter: Col. Benjamin C. Christ, 50th Pennsylvania Infantry. 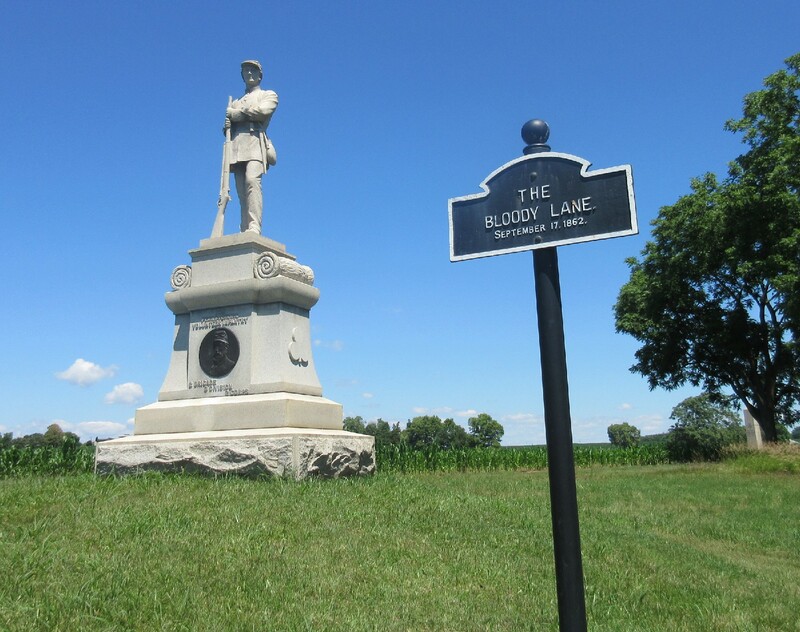 Also previously: Sunday morning we toured the grounds of Antietam National Battlefield, infamous site where September 17, 1862, marked the highest single-day body count in the history of U.S. soil. Today the grounds hold far more than monuments, though travelers would do well to arm themselves with context by stopping at the Visitors Center first. 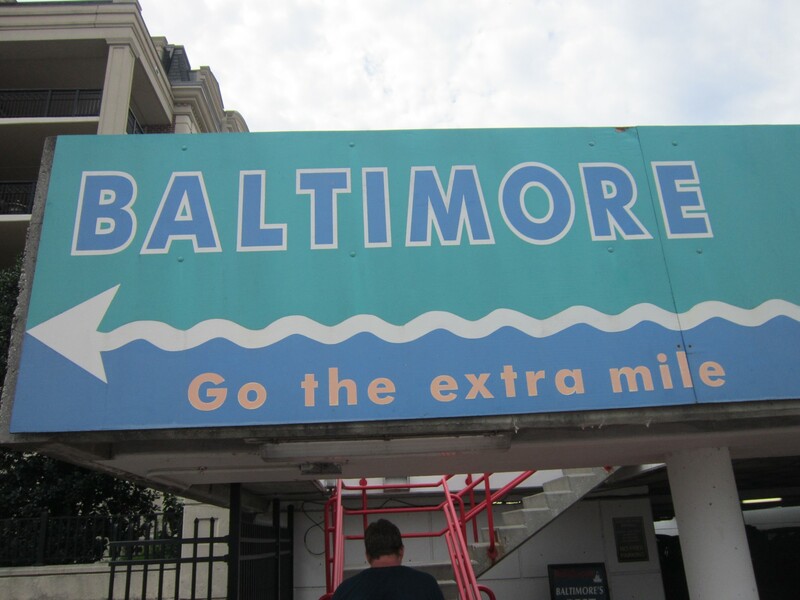 Funny thing about that: coming from the north as we were, the Visitors Center would’ve required a 290-degree left turn if we’d seen it, but we didn’t. For the first leg of our tour, we did the best we could without it.